A huge congratulations to Jason Miller, who was nominated for (and went on to win!) 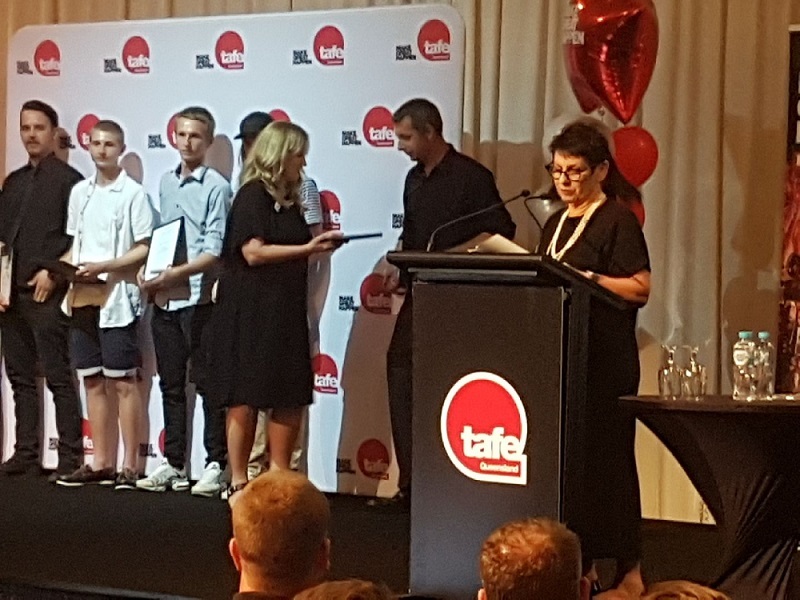 the TAFE Queensland, Gold Coast – 2nd Year Engineering Apprentice of the Year Award. Jason works predominately in our Cable Handling department assembling a wide variety of equipment including Self Loading Cable Trailers, Capstan Winches, Bull Wheel Winches, Cable Pusher and Drum Stands. Everyone at RGA is very proud of his achievement. 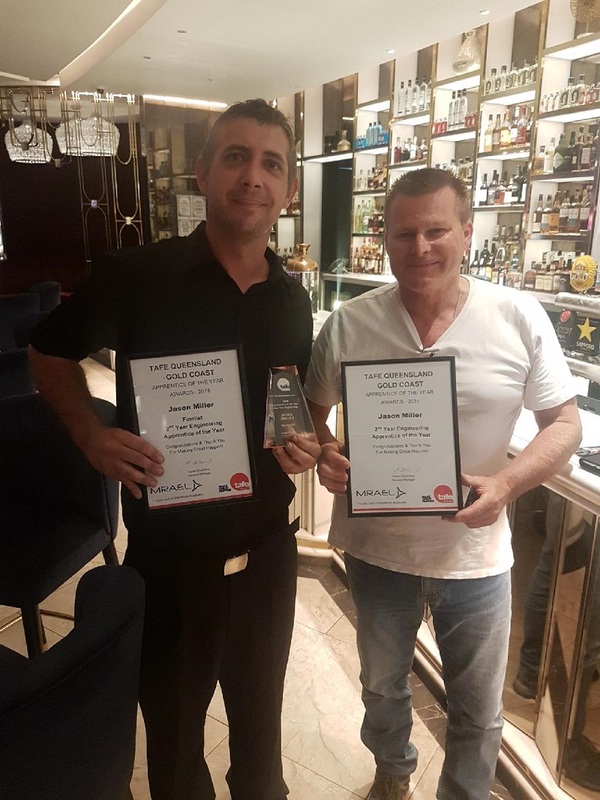 The award ceremony was held at The Star Gold Coast Pavilion Marquee in Broadbeach and was well attended by apprentices, their families and employers. 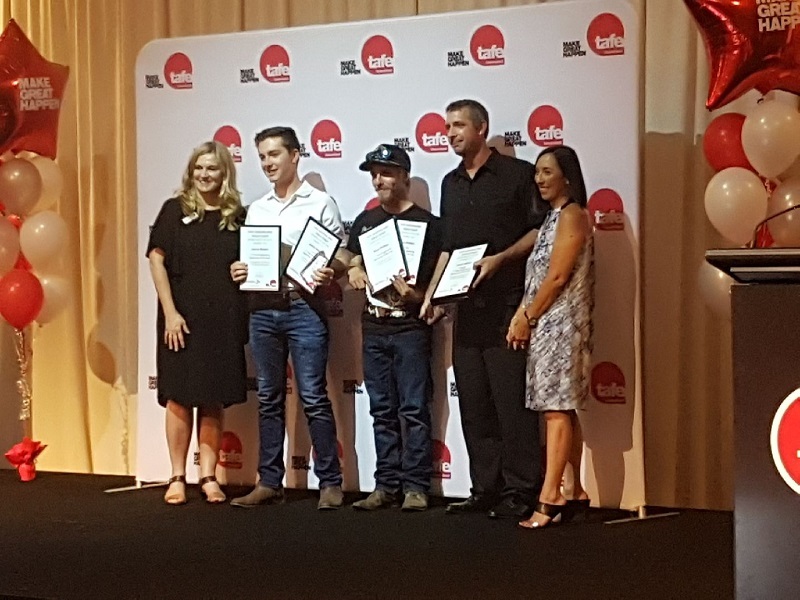 Awards were presented for the outstanding 1st, 2nd, 3rd and 4th year Apprentice of The Year in each trade, as well as the overall 2018 TAFE Queensland Apprentice of the Year. Award Categories included: Automotive, Bricklaying, Cabinetmaking & Shopfitting, Construction, Cookery, Electrotechnology, Engineering, Finishing Trades, Hairdressing & Barbering, Horticulture & Landscape, Marine Craft, Marine Mechanics, Plumbing, Refrigeration and School Based Apprentice.